A Soft Latex Topper for a Too Firm Latex Mattress. Home → Mattress Protectors → Danican Waterproof Mattress Protector → A Soft Latex Topper for a Too Firm Latex Mattress. My spouse and I bought a slat bed about three months ago. We got it from Soaring Heart Natural Beds, here in Seattle. We got, for it, an organic latex mattress (6”). We also purchased an organic wool mattress pad, (maybe 2”), a sheepskin mattress pad to go on top of the wool one, and an organic cotton mattress pad to go on top. I won’t tell you how much we paid, but you can imagine. My husband have a sore right shoulder and bursitis in his left hip. I have right hip and shoulder issues). We added the 2” latex mattress we purchased from you in 2012—the one I wrote about recently. Still not comfortable, we took the organic wool mattress pad back. Still not comfortable, as the latex has been compressed. Now we have a 2” memory foam mattress pad which we purchased at Costco, knowing we could take it back if it wasn’t satisfactory. It isn’t. If we got rid of the latex mattress, what mattress or combination of mattress and topper might you recommend for a slat bed for us? If we keep the latex mattress, what would you suggest as a topper to make it more comfortable for us? 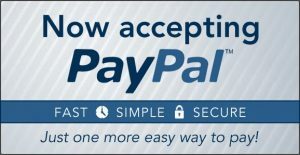 I’m concerned about a couple of things, so let me ask you a couple of questions. How are your backs feeling? 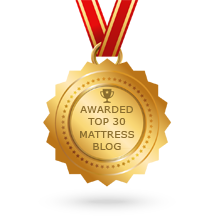 An all latex mattress can be a wrong choice for older people, as disc problems are common with age…and, disc problems don’t react well to an all foam mattress. Also, does the slatted bed have support in the center? If your backs are not hurting, then all you need do is soften the top. 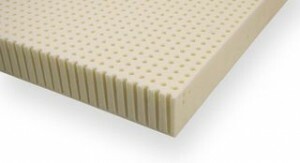 The greatest degree of surface comfort is had with an EverEden all natural 3″ soft talalay latex topper. If your backs are hurting, then you will need to switch to an innerspring mattress. Our backs are fine. And yes, the slat bed has center support. Looks like we need the talalay topper you recommended.